Ants might be small, but there’s a lot more to these tiny creatures than meets the eye. Here are 10 facts about ants that will absolutely blow your mind! 1. Three ants equal one bee, while 50 ants equal a bird. 3. An ant once saw the pope getting undressed. 4. If someone offers you $70 for all of the ants in your yard, you should totally take it. 5. It’s inaccurate to refer to ants as “the jesters of the sea,” but some scientists like to do it when nobody’s listening for a cheap thrill. 6. NASA once dumped 5,000 ants into a spaceship to see if they would eventually get to space, but those idiots just flew it straight into the ocean. 7. 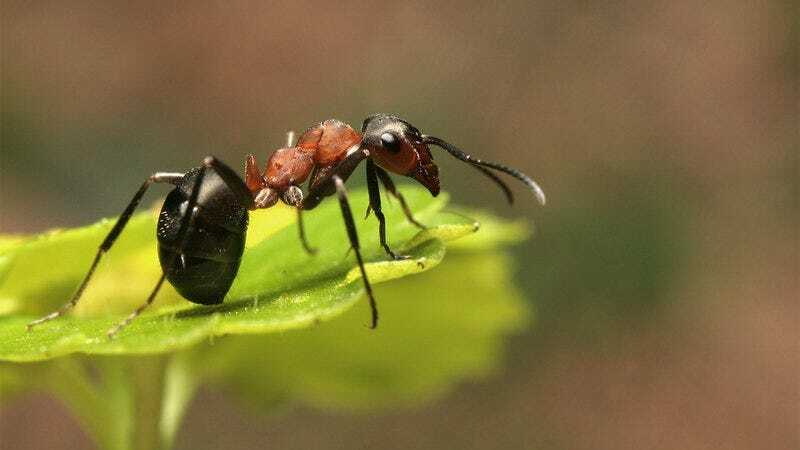 If you see an ant carrying a leaf, they are bringing it to David Attenborough because they know that David Attenborough is the nature boy who loves to look at leaves. 9. An ant’s brain is extremely small. It is the size of a bee. 10. It takes around 200 ants to successfully hollow out the corpse of a rabbit, crawl inside of its empty skin, and then make its hollow body do a jazz dance to entertain lonely children playing in the woods by themselves.